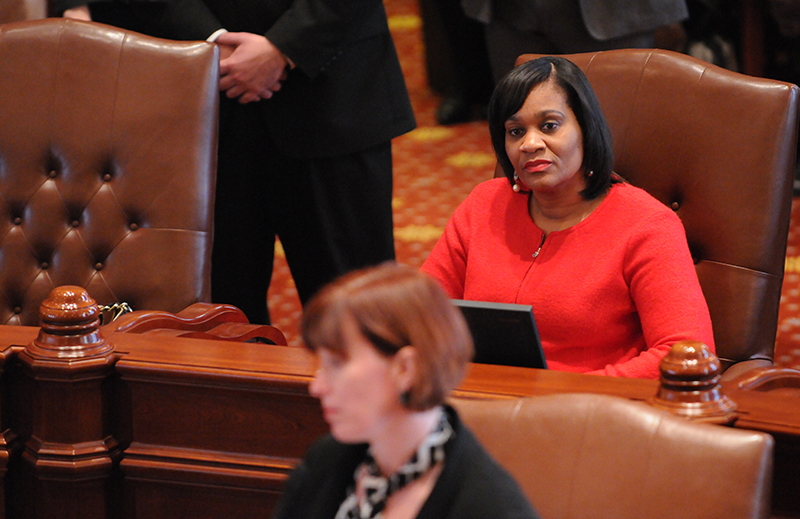 After the governor's State of the State address, Assistant Majority Leader Kimberly A. Lightford talked about the minimum wage and education funding. Senator Kimberly A. Lightford hosted a Community Health Focus Day last month to provide much-needed health assessments for area residents. Senator Lightford partnered with Nurse Alicia Brown for the event at the Columbus Park District. Students in Chicago Public Schools had until October 15 to obtain school physicals or they would not be allowed to return to class. The goal of the Health Focus Day was to make sure students received physicals and immunizations so they could return to class on Monday. 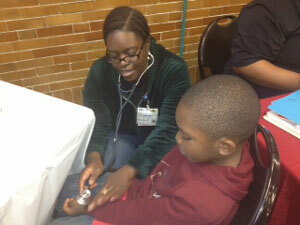 The Chicago Department of Public Health and PCC provided free physicals, immunizations, blood pressure and blood glucose screenings, and flu shots. Representatives from Hines Veterans Hospital provided information to veterans and registered those who did not already have health care providers. Senator Lightford provided free lunch for all participants.